Through the means of music and theater classes, workshops, and individualized lessons, you will be able to experience the power of these art forms. 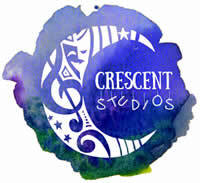 Crescent Studios provides high quality arts instruction for people of all ages and abilities. Our dedicated teachers seek to help you nurture your inner creativity and bring about a sense of self that few other experiences can provide.